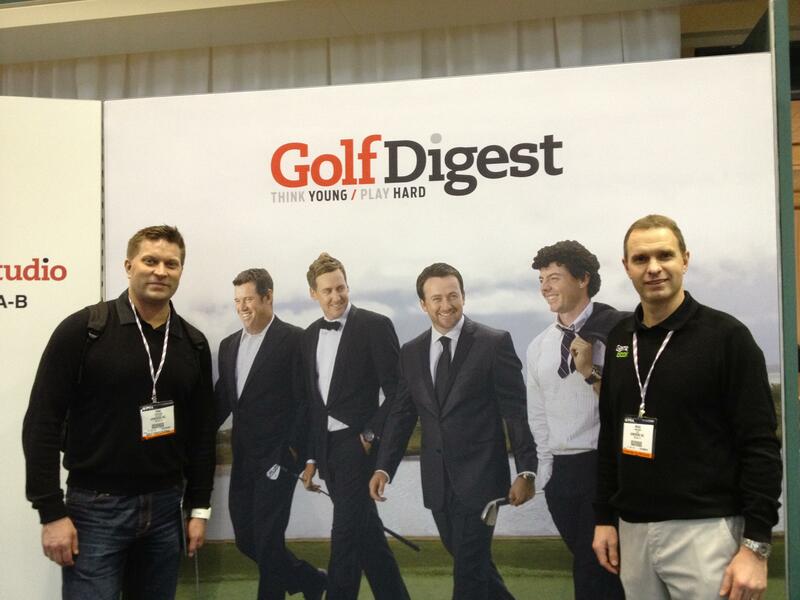 In front of Golf Digest’s placard at The PGA Merchadise Show with our GameBook VP Sales (US) Mr. Erno Tauriainen (left) from New York. It was yet again a great experience to visit the PGA Merchandise Show this year. It was the 60th time for the PGA Show, which is held annually in Orlando, FL. GameBook was not exhibiting this as we did in 2010 and 2011 when launching the Golf GameBook app, our mobile community and the GameBook Scoring System. The purpose of being at the Show was connecting with many golf industry contacts that we have already made as far as using the GameBook Live Scoring in golf events. Also met with many of the leading golf manufacturers regarding co-operation for this year’s new releases planned for GameBook: live scoring for college golf and also our upcoming event services. Joining me was our GameBook VP Sales (US) Mr. Erno Tauriainen from New York. We had meetings scheduled with many of the top golf brands and visited all the rest making great new acquaintances. 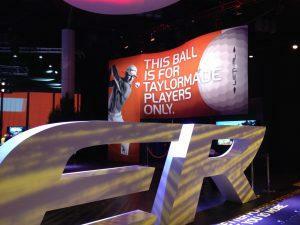 TaylorMade-Adidas’ stand – they introudec their latest ball model at the PGA Show. I must agree with PGA’s Ted Bishop and it was encouraging to see all major golf brands represented, which has not been the case in recent years due to tougher economics times. The golf industry is getting back on track now with number of rounds played growing in US and globally – slowly but surely! At first, we thought that, for example, TaylorMade-Adidas did not have a booth, but then found out they had (together with Adams Golf and a few others) and really cool separate room ‘Club TaylorMade’ on the far north end isolating themselves from bunched up competition. It was like walking into a nightclub with stylish lighting and house music playing. If you came at the right time, you may be able to meet Natalie Gulbis, who hung around the area during the Show. GameBook had enjoyed a lot of success lately by being featured on Samsung Apps resulting in high download volumes. During the PGA Show, the Golf GameBook app was the highest ranked golf app on the US App Store free Sports App category! Facebook likes are now 24k and Twitter followers growing strong with 8k currently! It always helps pitching a great product by showing solid numbers. We also had the pleasure of sitting down with President of Cobra Puma Golf Bob Philion. They along with Oakley successfully displayed a young, fresh and appealing look with trendy fashion apparel and equipment released for 2013. Cobra/Puma put a great show at the Demo Day featuring Ian Poulter and Jesper Parnevik with trick shot show. Titleist represented their traditional classic style and it was fun to watch Scotty Cameron drafting putter designs on the bar table. International Network of Golf, which GameBook is a corporate member of, awarded LPGA Tour star Paula Creamer and top-ranked instructor Mike Bender on their outstanding achievements in golf. 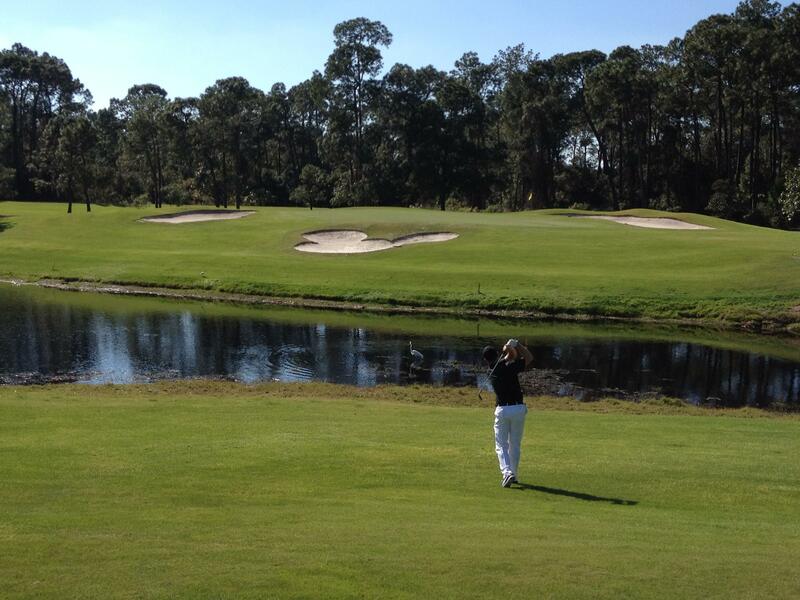 Finished up our Orlando visit by playing 18-holes at Disney’s PGA Tour venue, The Magnolia Course. Designed in classic Tour style, this championship course is the longest of the Walt Disney World Resort golf courses. We finished up our Orlando visit by playing 18-holes at Disney’s PGA Tour venue, The Magnolia Course with lightning fast green presenting some challenges on short game. It was a positive surprise to see Pasi Tenkanen paired up in the same group and enjoyed his company for the first time on the golf course. The PGA Show left us with a lot of following up to do for the next few weeks and GameBook is looking forward to continue its strong growth during 2013. After couple of days back home in Finland I’m now in California again, getting ready for GameBook’s spring kick-off for collegiate tournament live scoring. Hope I have some time to visit at Bebble Beach too this week!